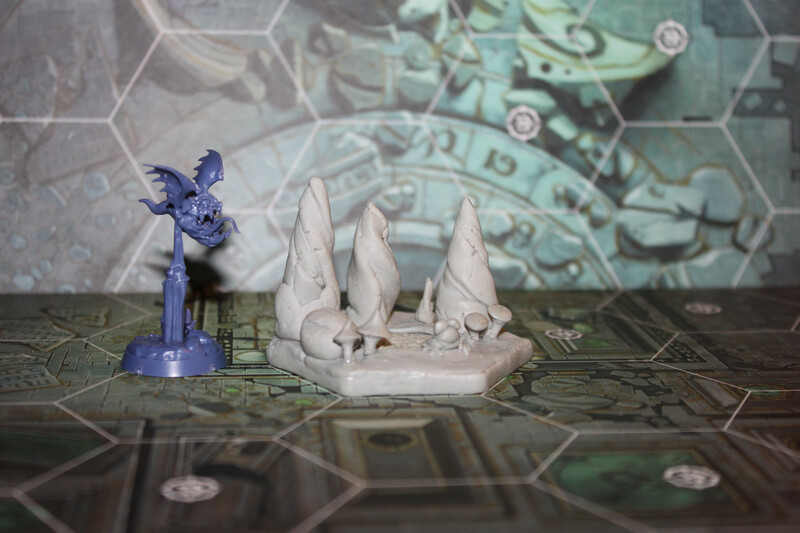 I've been working on sculpting custom terrain for Warhammer Underworlds. 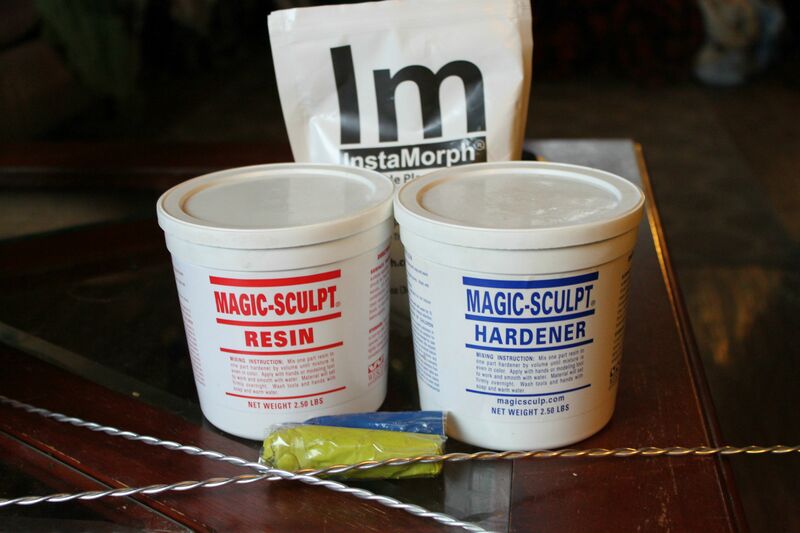 Magic sculpt is a two part epoxy clay. Takes about 24 hours to fully set. It doesn't shrink, can be sanded / drilled, and has excellent strength. First pieces I made. 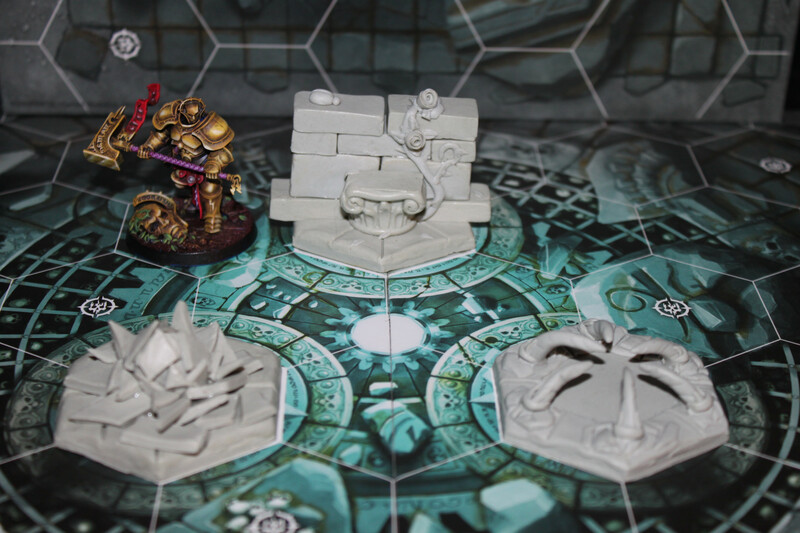 Left to right - ShadeGlass token, Wall section, Chasm token. 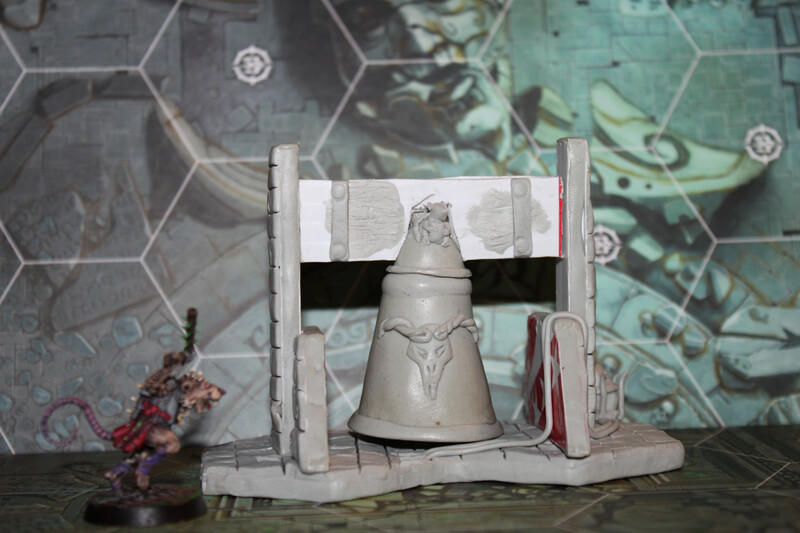 Skaven bell - Sculpted primarily using magic sculpt. I chopped up a political campaign sign which is the white parts; effectively it's plasticard. 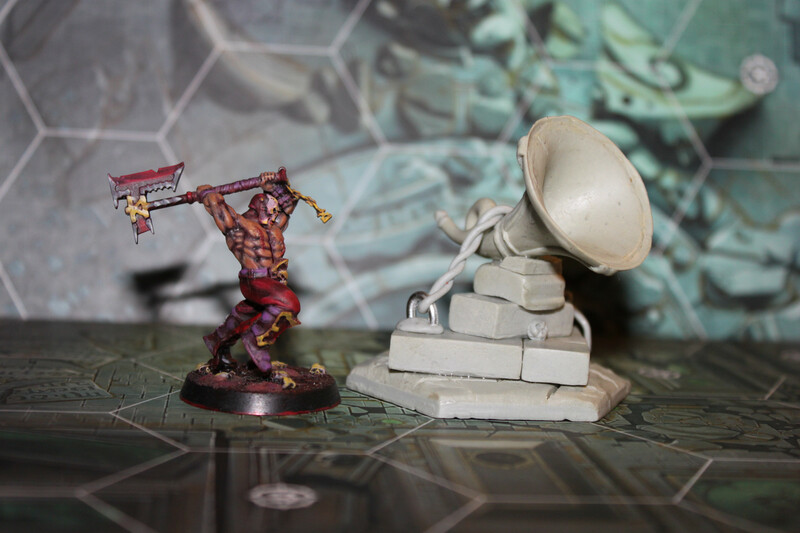 Khorne horn - The concept of this took awhile I didn't have a strong idea of what the horn's base would look like. I more or less just cobbled it together as I went along. Mollog's Mob stalagmites. Of the pieces I've made this one came together the easiest.